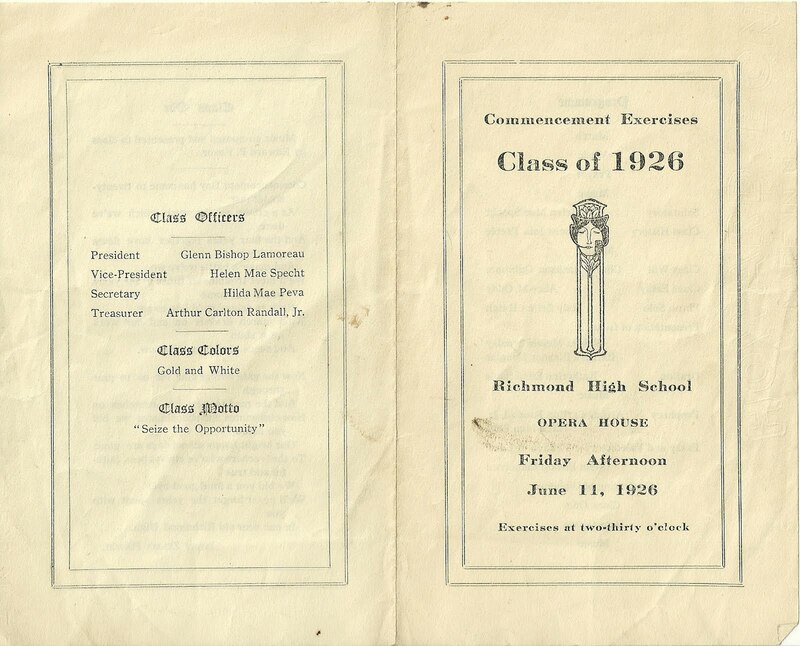 Commencement Exercises for the Class of 1926 of Richmond High School, Richmond, Maine, at the Opera House, Friday Afternoon, June 11, 1926. 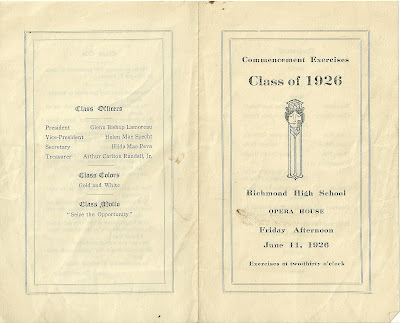 Exercises at two-thirty o'clock. 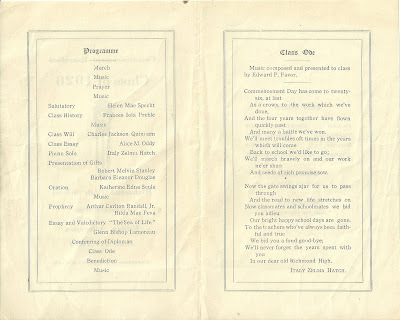 Class Ode, which occupies a full page, was written by Italy Zelma Hatch. 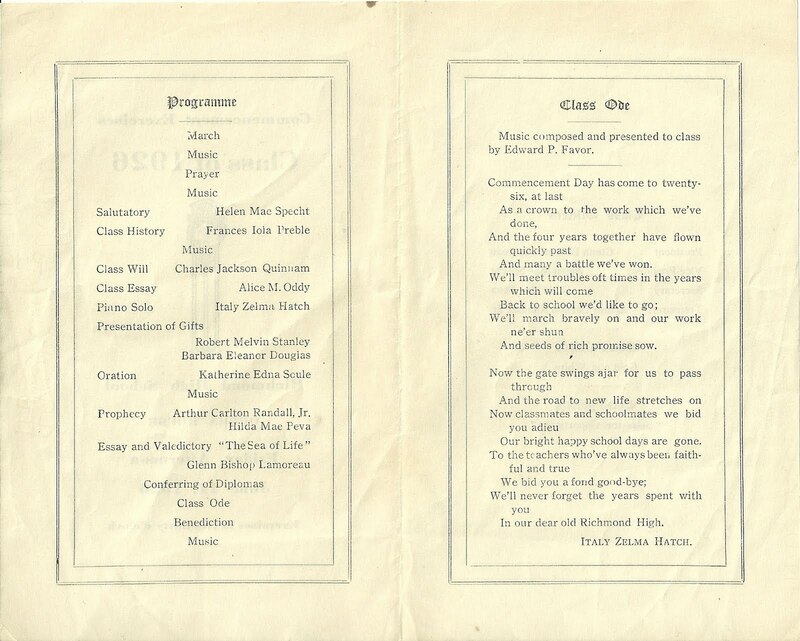 Treasurer, Arthur Carlton Randall, Jr.
Class Motto: "Seize the Opportunity"